From The Desk of: Andy E. Bederman, Esq. A recent and alarming study has revealed that men who take popularly prescribed testosterone are at a 30% increased risk of having a heart attack, stroke or experiencing death -- according to a study published in the Journal of the American Medical Association. Additionally, the study looked at the rate of heart attacks within the first 90 days of treatment. In men aged 65 and older, the risk more than DOUBLED. And in men under 65 who had a history of heart disease, the risk almost TRIPLED! "That's equivalent to smoking one to two packs of cigarettes a day, or having sky-high cholesterol"
Why Does Testosterone Cause Heart Attacks, Strokes and Death? Testosterone increases the production of red blood cells, which can clump together or coagulate, essentially making blood thicker. That may be especially hazardous in men who have narrowed arteries because of aging and disease. There is a potential for harm, and people should know about this. 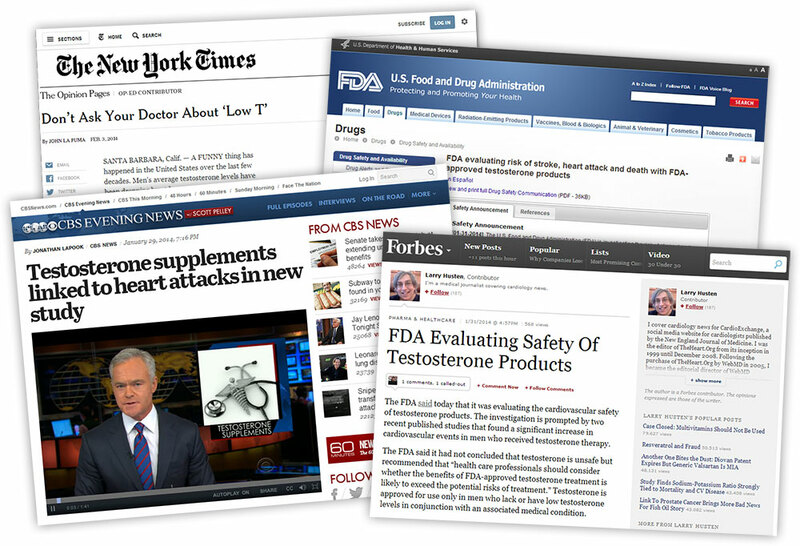 This shocking scientific research has prompted the FDA (Food and Drug Administration) to swiftly release a safety announcement, warning men about the potential adverse cardiovascular risks that may occur with use of these popular testosterone products. In fact, the FDA has even launched safety investigations because of the alarming link between testosterone use and heart attack, stroke and death. These Findings Have Sent Shockwaves Through the Medical World -- Alarming Both Doctors and Their Male Patients Who Were Prescribed Testosterone To Treat "Low T"
Fox News Sunday Housecall, a show dedicated to health and medicine, discussed what they referred to as, "an amazing new warning from the FDA" about popular testosterone treatments. News of this is all over the place. "We don't know very much about this therapy. What's going on is a giant experiment with American men's health at stake because we don't have the long-term data on the safety of these products." Millions of Prescriptions For Testosterone Are Written Each Year... Drug Companies Raked In Nearly $2 Billion in 2012 According To Study! While men suffer unknowingly from heart attacks, strokes and even death, annual prescriptions for testosterone supplements continued to rise more than five-fold from 2000 to 2011. In fact, an IMS Health research study found that 5.3 million prescriptions for testosterone were written in 2011 alone! Forbes reports that sales for testosterone totaled nearly $2 billion in 2012. Why are sales in the billions and why have sales for testosterone doubled in just the last four years? "Once It Appears On Television With Seductive Ads That Make Men Think It's The Fountain of Youth, You're Going to See A Lot of Off-Label Usage"
And unfortunately, that appears to be precisely what is happening. Recent Study Reveals 43% Of Men Prescribed Testosterone Already Had Normal Levels of Testosterone! When we evaluated the other studies that looked at the pre-treatment blood (serum) levels of testosterone in men prescribed treatment by their doctors, we were shocked to see nearly half of the men treated didn't need it! Why would a doctor prescribe testosterone if blood tests show an already normal level? The answer to that question is because patients are being treated for a variety of symptoms that are NOT approved by the FDA to be treated with testosterone, such as fatigue and decreased libido. 25% Of Men In Study NEVER Had Their Testosterone Levels Checked By Their Doctor! The Journal of the American Medical Association study (the one showing the increased risk of heart attack, stroke and death), also discovered that 25% of the men in the study prescribed testosterone NEVER had their testosterone levels checked with a blood test! So you have a significant amount of negligence taking place because the drug companies are marketing these products as the "fountain of youth" without warning doctors and patients of these health dangers. In one frequently aired TV ad, a youthful-looking 50-something man owns up to having "Low T", which his doctor discovered after he complained of sagging energy and irritability. After taking Androgel, he's back in the swing of things, the ad suggests, riding around in a convertible with a younger-looking woman. Forbes discovered that two years ago, a group of physicians and academics filed a complaint with the independent Pharmaceutical Advertising Advisory Board in Canada claiming that an advertising campaign for AndroGel "harmed public health by promoting unapproved uses and implying exaggerated effectiveness." Dr. Sidney M. Wolfe, a senior adviser to the Washington advocacy group Public Citizen, explained that these testosterone drugs carry no mention of an increased risk on their labels or in their advertising materials. In other words, YOU were never properly informed of the true risks and consequences of using their drugs! The FDA publicly stated that right now heart attack is NOT on the warning label of these drugs and that it has launched safety investigations to look into these recently discovered health-risks. Dr. Steve Nissen, Chief of Cardiology at the Cleveland Clinic said in USA Today, "the FDA should require companies that sell testosterone therapy to conduct rigorous clinical trials examining the medication's heart risks." As you can see, there are strong beliefs that the drug companies have not been responsible in their legally mandated duty to properly TEST and LABEL their testosterone drugs. ...there is something you can do today to greatly benefit yourself and your family. As hard as it might be to imagine, you have been a victim of a drug that has defective and adverse consequences that were not.. 1) properly tested before widespread use, and 2) properly labeled to warn people of the real dangers they present if taken. When you experience something so devastating as a heart attack, stroke, blood clots or even a death of a loved one through no fault of your own, your rights as a consumer might have been violated by the drug's manufacturer because they DID NOT fully disclose the extent at which their drug could cause harm to you or your loved one. The drug companies that make these testosterone treatments are subject to STRICT guidelines and rules by the FDA (Food and Drug Administration). The FDA puts rules in place that require drug companies to fully disclose the widest range of side effects that have been seen in clinical trials. ...this is done so doctors and patients like YOURSELF can weigh the benefits of a particular treatment against the possible side effects and consequences of taking that treatment. As a result of testosterone therapy, you or a loved one have likely suffered emotional and physical stress, along with unintended financial burdens -- like doctor or hospital visits, time off work, and more. If you are a victim of an adverse cardiac event because of testosterone treatment, you could be entitled to what is called "damages", which is just a fancy legal term for money awarded from individual lawsuits, settlements and class action lawsuits. ...instead you and your doctor have to make decisions in the blind, totally unaware of the hidden dangers behind the misleading label. Fill out the contact form (on the right or bottom of this page) or call us at 866-306-8223 for a free case evaluation and legal consultation. 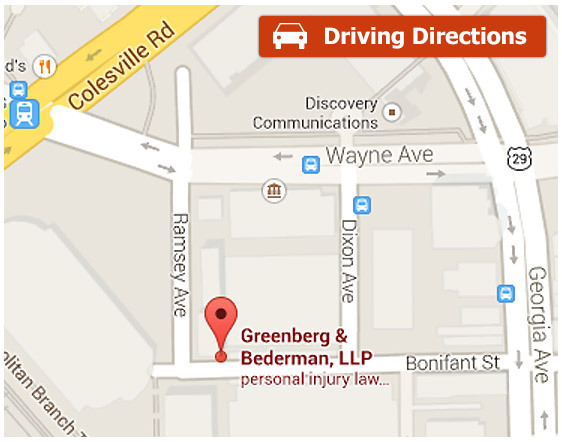 We will personally speak with you about your case. This consultation with an attorney will not cost you a dime... it is 100% FREE and confidential. That means you have nothing to lose and everything to gain. You will speak to our attorneys -- lawyers with years of experience getting money for victims like yourself. We are currently accepting cases nationally in the U.S., so you are eligible to speak to us for free -- no matter what state you live in. If at any point you do not believe we are the most qualified to help you get the money you rightfully deserve as a victim of a bad drug defect, you are not obligated in any way, shape or form to pay us or work with us. We are confident you will see the extraordinary value we can offer you. You MUST act fast because there is a only a small window of time that victims can file a lawsuit or seek settlements. So act now and fill out the contact form to the right or at the bottom of the page. Or simply pick up the phone and call us RIGHT NOW at 866-306-8223. 100% FREE - No commitments! Our law firm was founded in 1985 and has represented countless victims in pharmaceutical drug liability and defective medical device cases over the years. We pride ourselves on our legal experience and customer service.